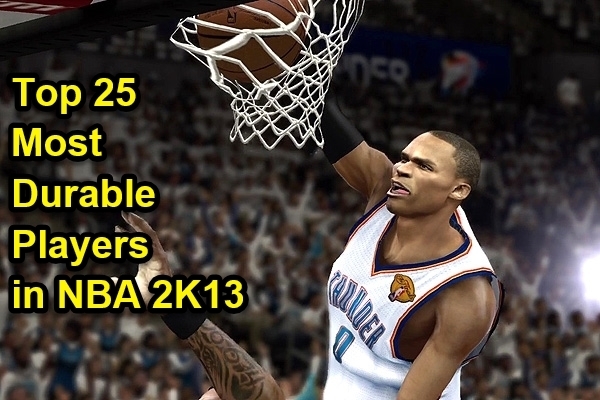 Here’s a look at the Top 25 most durable players in NBA 2k13. The players are rated according to their durability stat. 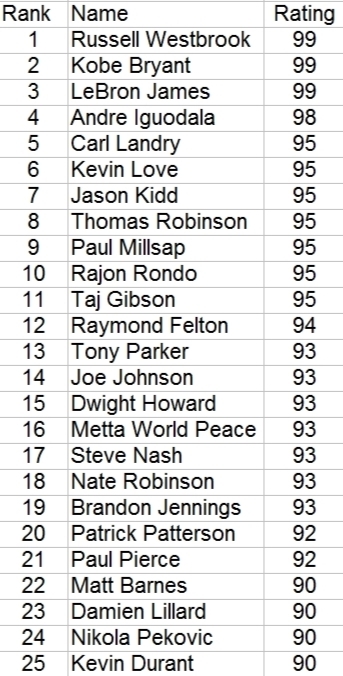 No surprise that Kobe Bryant has been rated at 99. One may think that Steve Nash and Dwight Howard are surprise additions given their injury woes this season, but that’s a testament to their toughness that they have been able to plough ahead in spite of their injuries. For more about NBA 2K13, check this out.